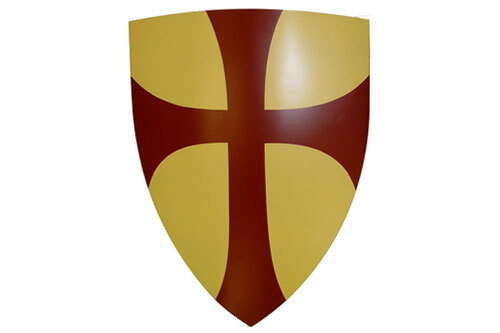 Classic heater shaped shield carried by the Knights of Ibelin. 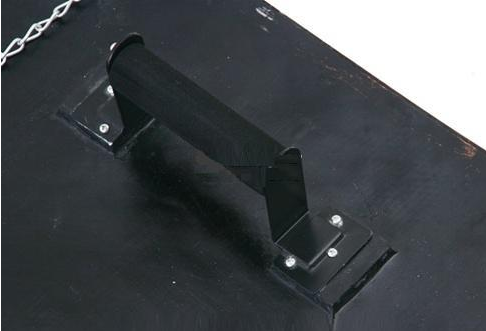 Light weight and ready to hold all day at your convention or Halloween event. Great for decoration and displaying in your medieval room. This has a metal handle wrapped in a rubberized grip. It also has a forearm Velcro strap. One more feature is the metal chain to hang the shield anywhere you please. New in box and ready to move out of our warehouse into your domain.